The media reported today that the Executive President of Sri Lanka, Mahinda Rajapakse, has used his presidential power to ban the Da Vinci Code blockbuster film from public screening. The Daily News, a pro-government newspaper also reported the Catholic Bishop’s Conference lauding the President for having taken this action, which reportedly came as the result of an appeal from church officials. The purpose of this statement is not to go into the merits or otherwise of the Da Vinci Code, but to challenge the President’s power to ban a film. There is a legal process in the country through which any person or organisation wanting to challenge the screening of a film can resort. There is also the possibility of taking the matter up by way of an application to court. The Executive President of Sri Lanka does not have any power under the Constitution or any law to engage in the banning of a film. When he acts outside the law he acts as a dictator. 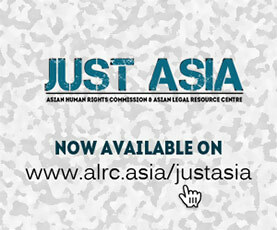 The Asian Human Rights Commission has repeatedly brought up the issue of presidential actions that contravene the constitution and law. One glaring example in recent times is the appointments to key national commissions against the express provisions of the Constitution. All such acts, including the banning of the film, are based on the belief that the President has complete immunity and that none of his actions can be challenged in a court of law. Lawyers have already pointed out in some court applications that there cannot be any such thing as complete immunity and that, in the case of 17th Amendment issues, the president’s unconstitutional actions cannot be protected by constitutional provisions of immunity. The President has now used his power to ban a film. He may even go further in future and use his power to annul a marriage. There is hardly any legal difference between these two instances. They are both an absurd use of presidential power and cannot have any justification under the Constitution or any other law. If the Bishop’s Conference wanted the film to be banned, they had legal avenues open to them to which they could have resorted. However, by getting presidential intervention they have encouraged the abuse of the constitutional process. The President has made use of the occasion for political purposes, by trying to please the Bishop’s Conference, even at the cost of abusing power. He has acted as a patron. But now the Bishop’s Conference will also have to pay the price. They will have to keep silent in all matters concerning Presidential abuses of power or the President’s political interests. Unfortunately, this is not something that the Bishop’s Conference will find difficult to do. Throughout recent decades, when the country plunged into the depths of lawlessness and anarchy, the Bishop’s Conference did nothing else than look after their own interests, at the cost of the loss of larger interests for Catholics and others in the country. The loser in this case is the whole nation of Sri Lanka, which is finding it difficult to develop avenues to emerge out of blatant abuses of power. We urge the human rights community and lawyers in Sri Lanka to challenge this ban on a matter of principle. It needs to be challenged in order to make the courts deal with the issue of presidential immunity in general. What are the limits of this immunity? Is Sri Lanka an absolute dictatorship? Is it not time to make a concerted effort to produce a proper legal interpretation of the limits of presidential power and the limits of presidential immunity in Sri Lanka?